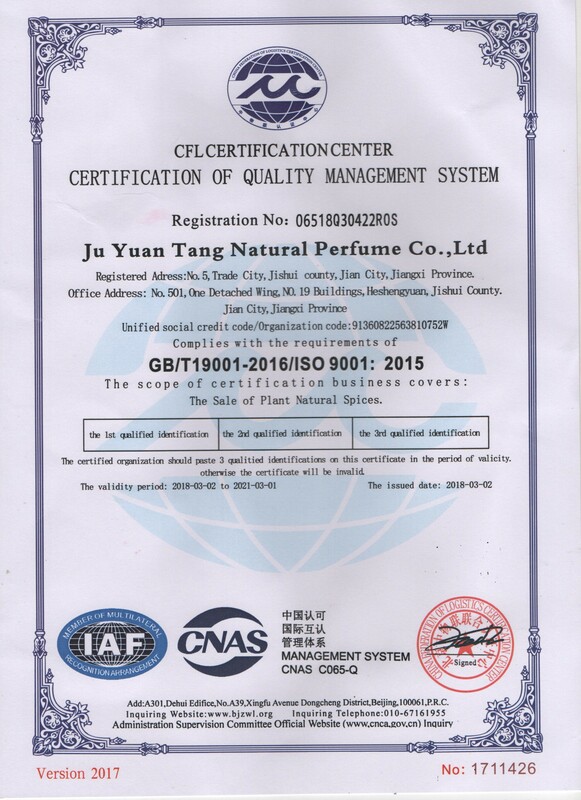 Ju Yuan Tang Natural Perfume Co, Ltd is located in Jishui country ,which is under the Jinggang Mountain---the cradle of China revolution. Jishui has unique and rich natural plant resources ,which is given the name of "the town full of spices oil". 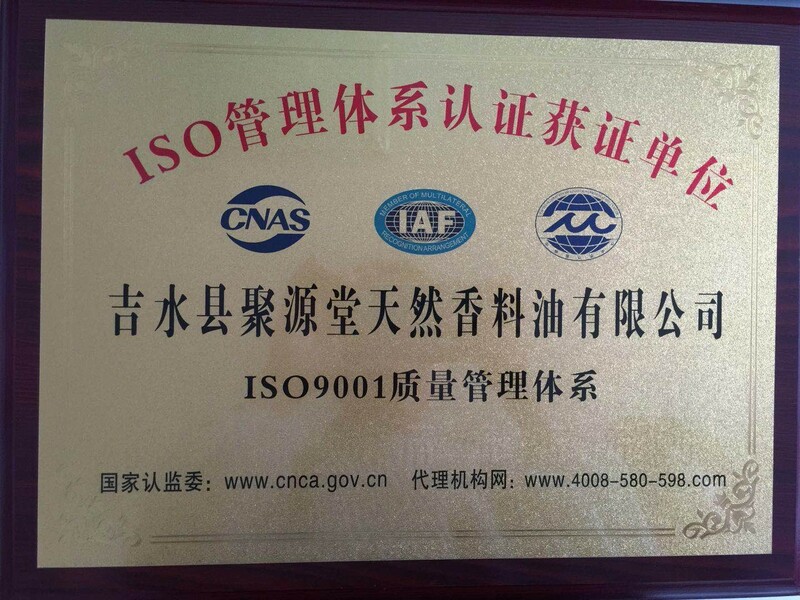 Using natural plant as raw materials, our company is mainly occupied in the production and marketing of medicinal materials. 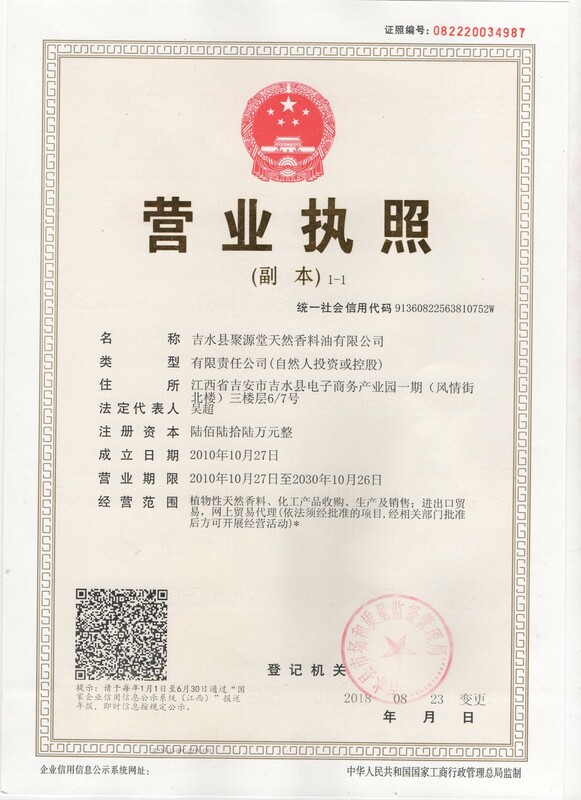 We make full use of the traditional extractive technique of traditional Chinese medicine, combine with advanced production process and modern equipment and refine various natural plants oil (essential oil) and plants extracts (extract). The main products are: menthol，peppermint oil, eucalyptus oil，citronella oil, tea tree oil，cinnamon oil, clove oil，spearmint oil，lavender oil，geranium oil and so on. They are widely used in household necessities，health products, cosmetics , medicines and so on.